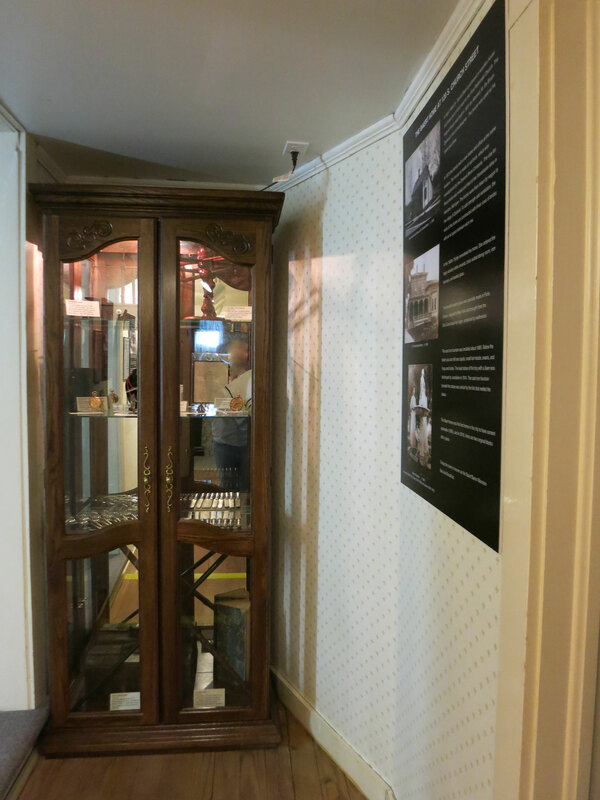 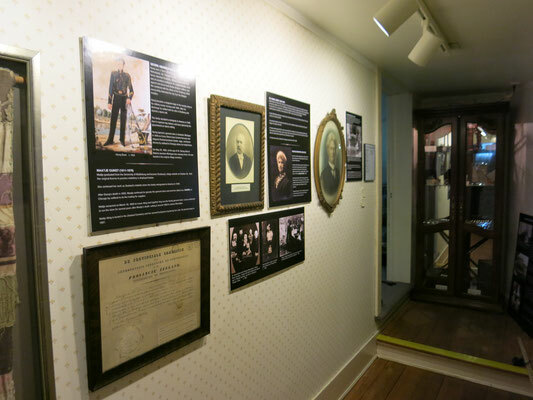 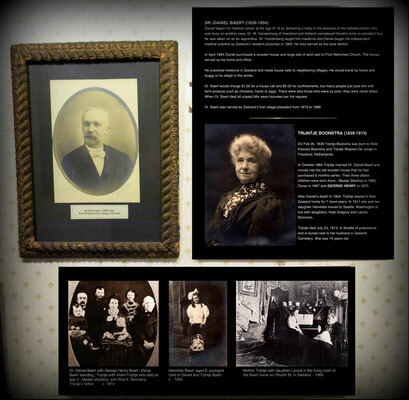 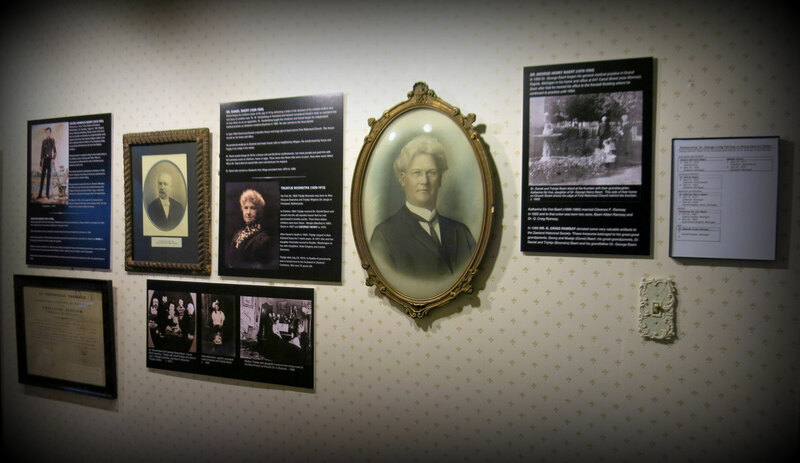 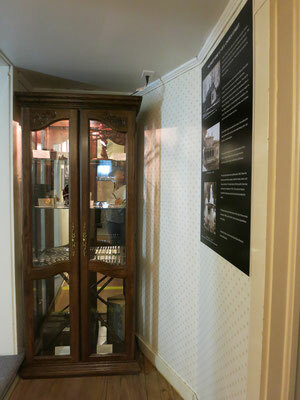 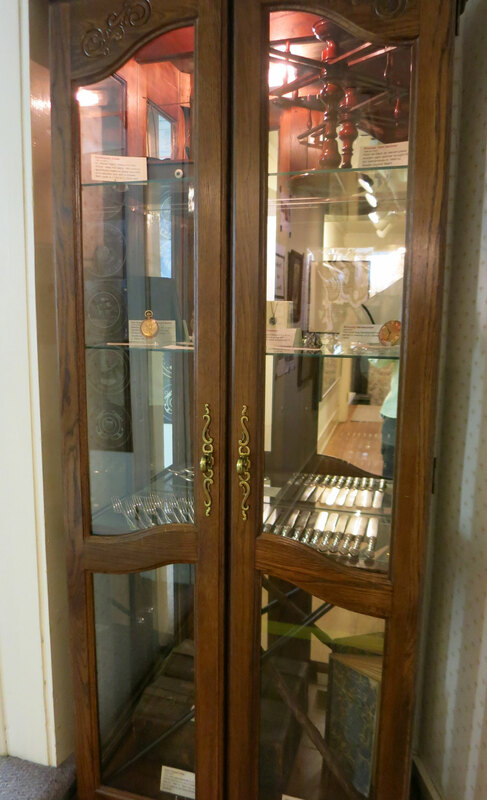 Photos and documents in this hallway tell the history of the Baert family. 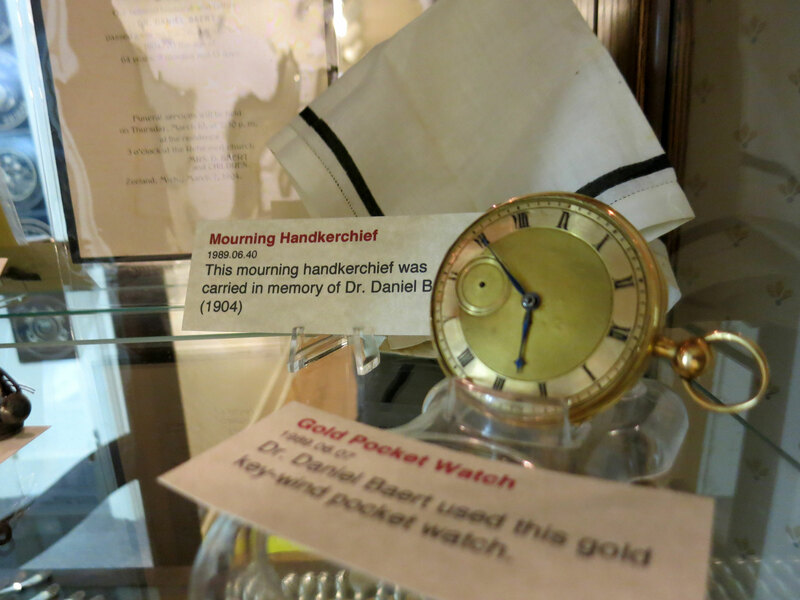 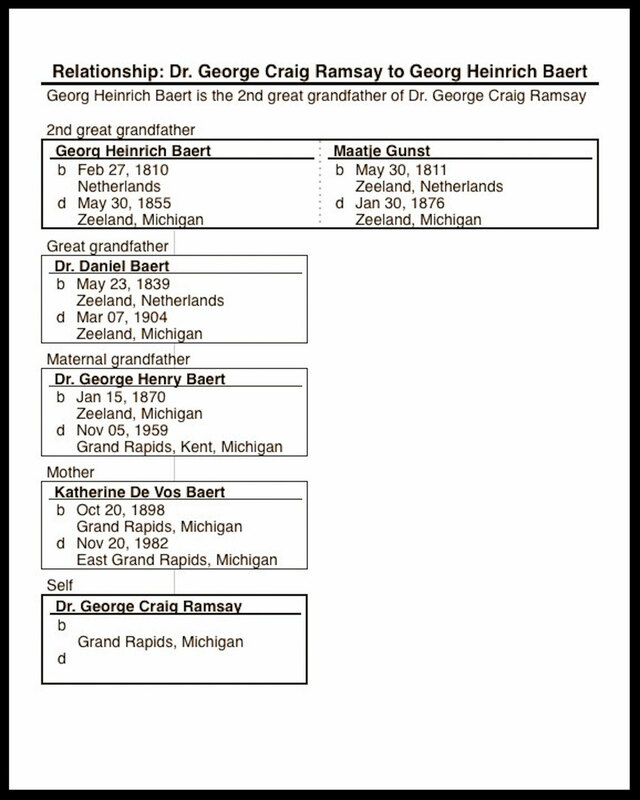 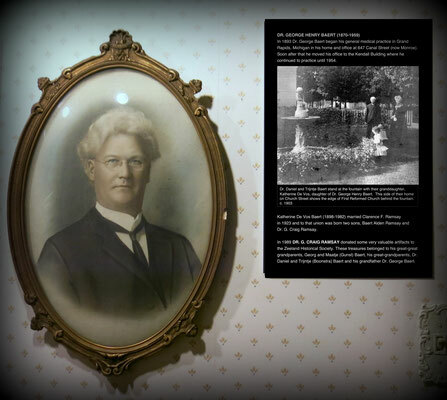 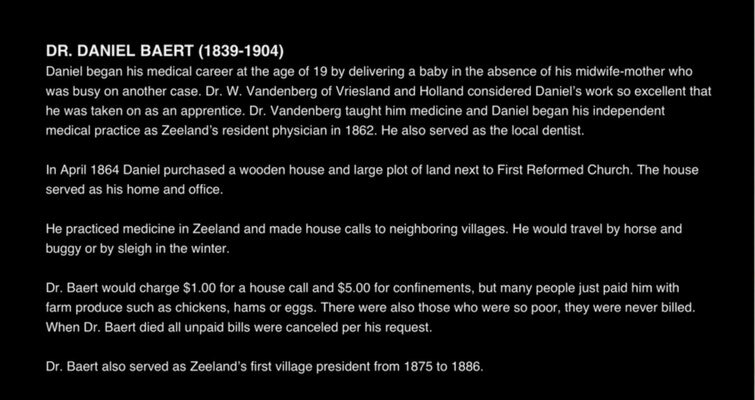 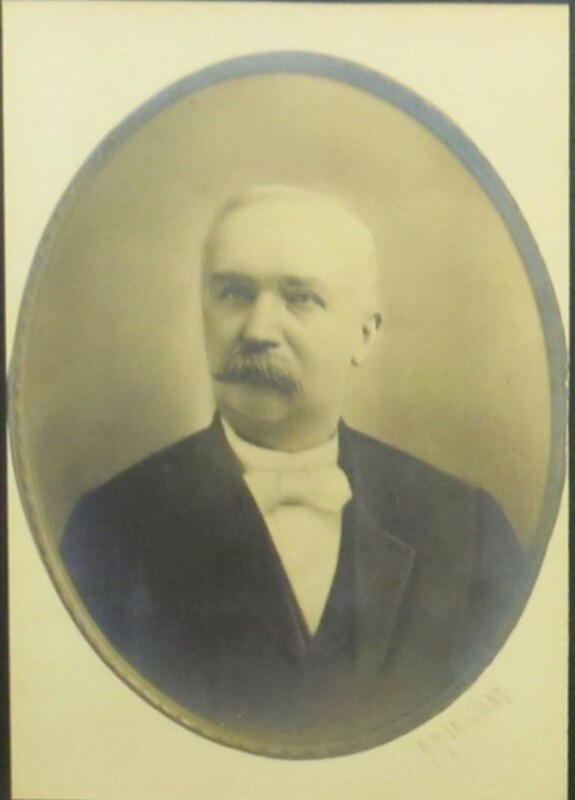 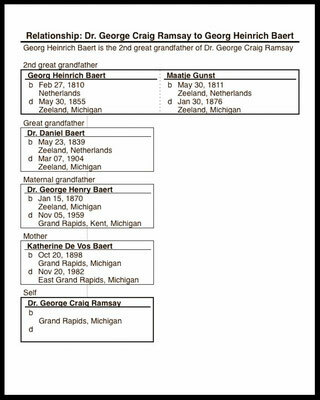 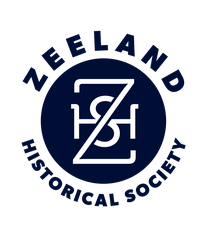 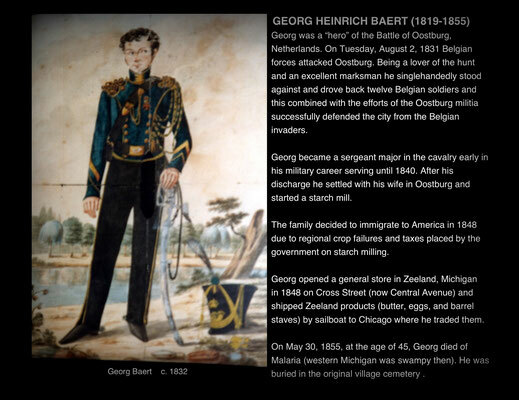 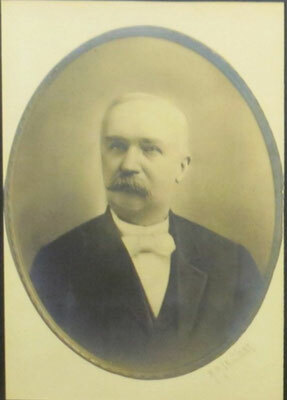 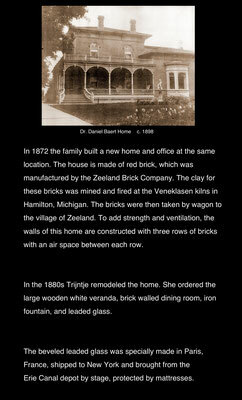 Dr. Daniel Baert, our first village physician, practiced in Zeeland in 1864. 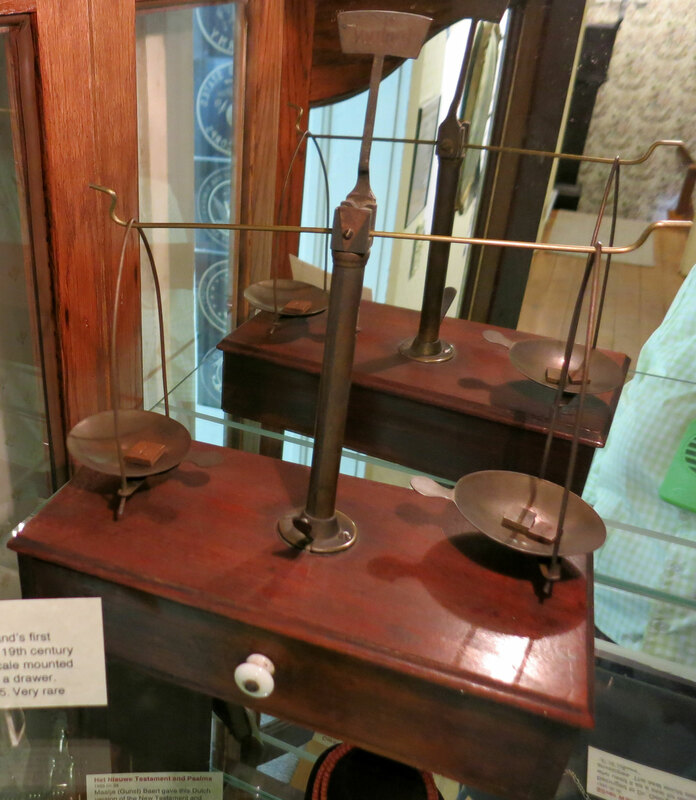 He followed his mother, who was a Registered Midwife, into medical practice. 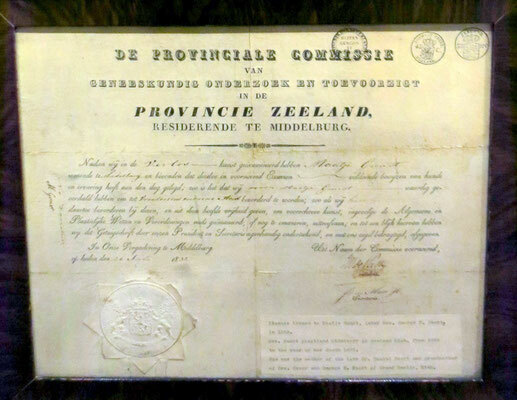 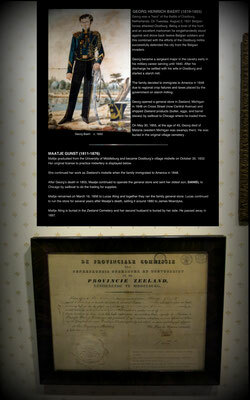 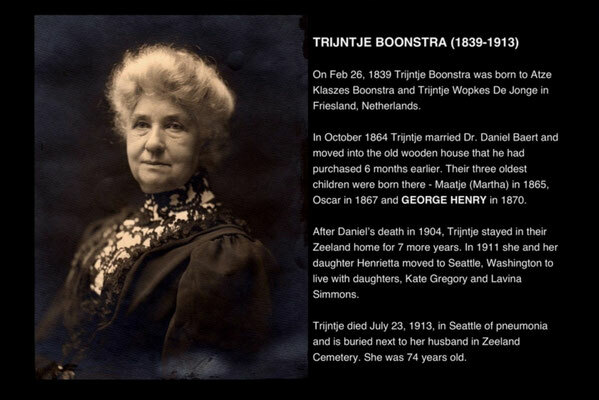 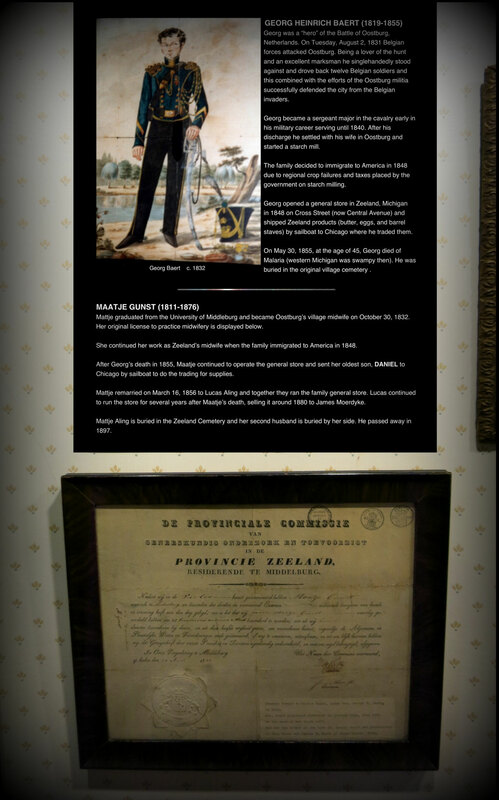 On display is her original certificate from the Netherlands, dating back to 1832. 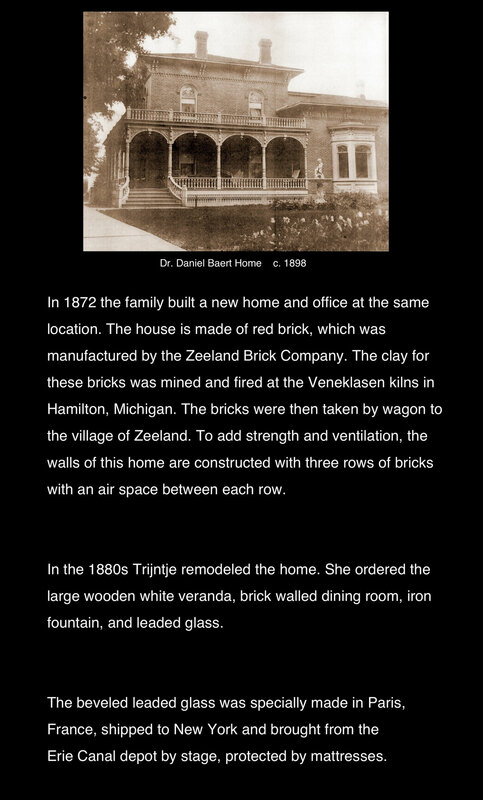 In 1872, Dr. Baert built a lovely red brick French Italianate mansion at 120 Church Street which today is an elegant Bed & Breakfast. 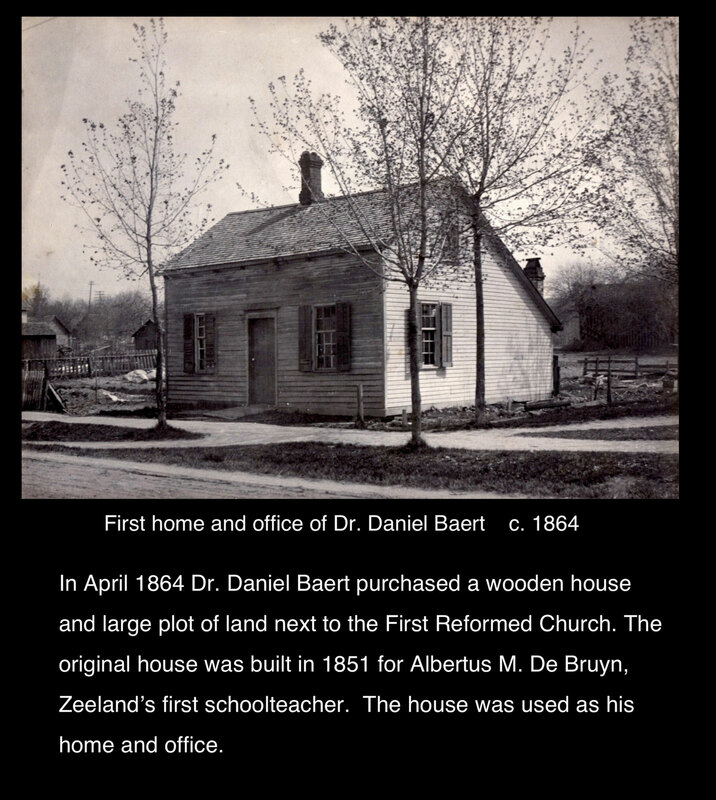 Dr. Baert had three daughters. 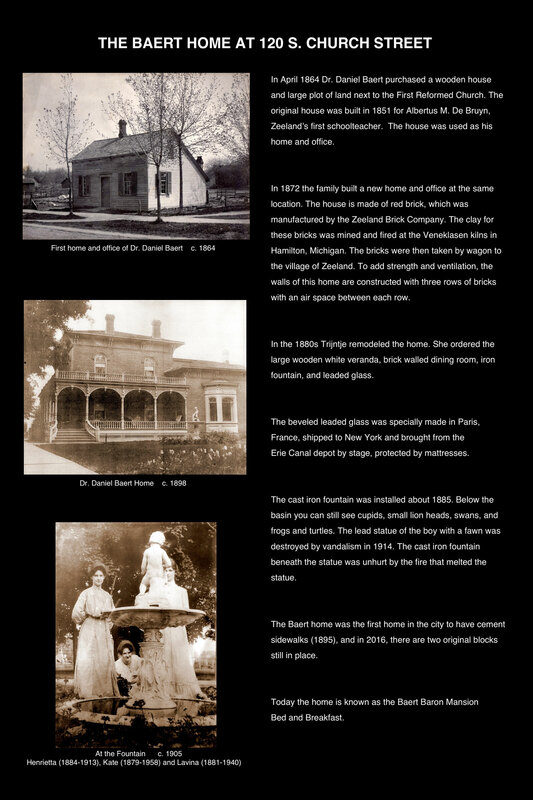 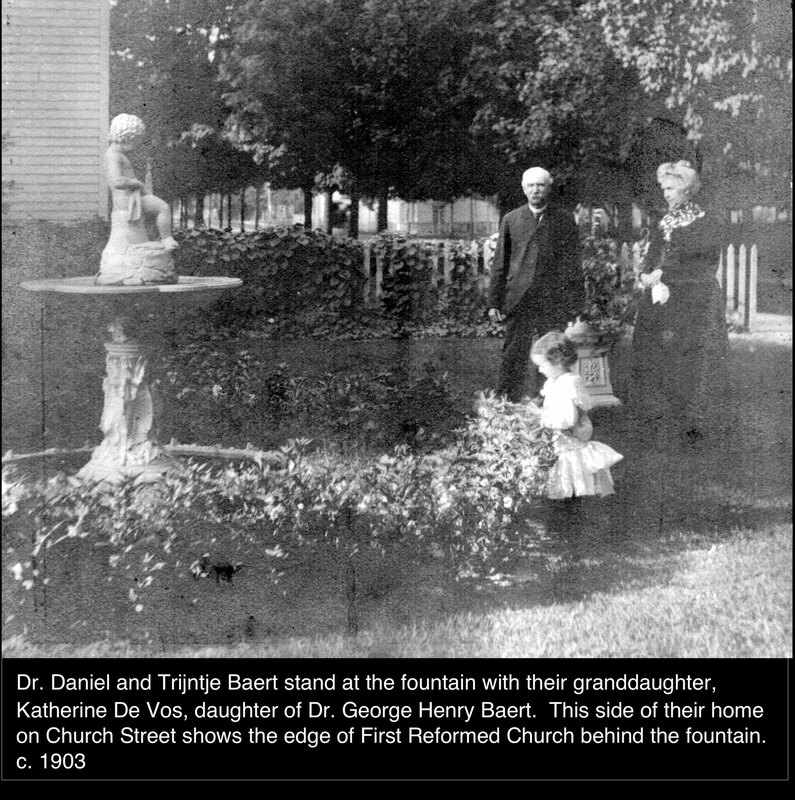 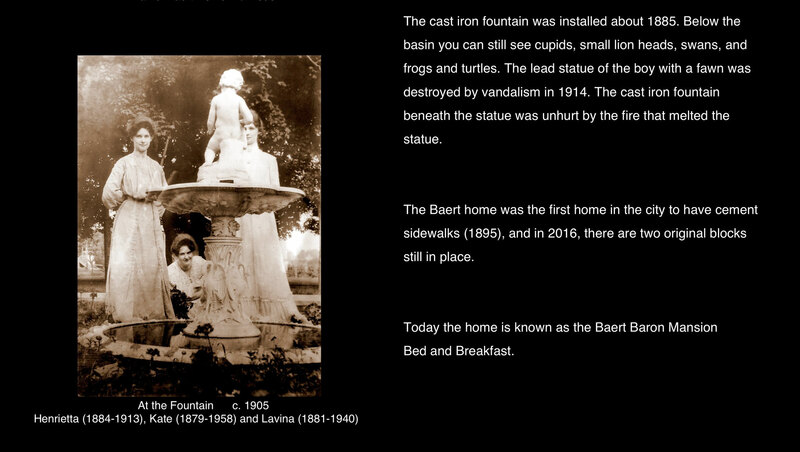 His girls are shown in a photo standing near the fountain, which stood in their yard. 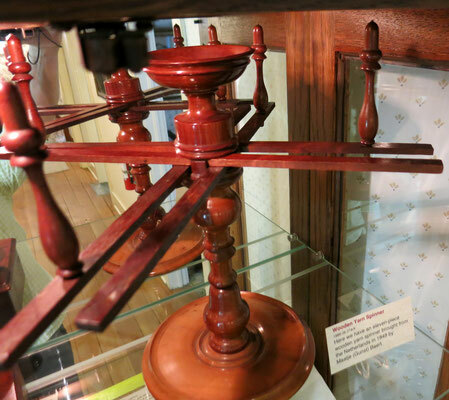 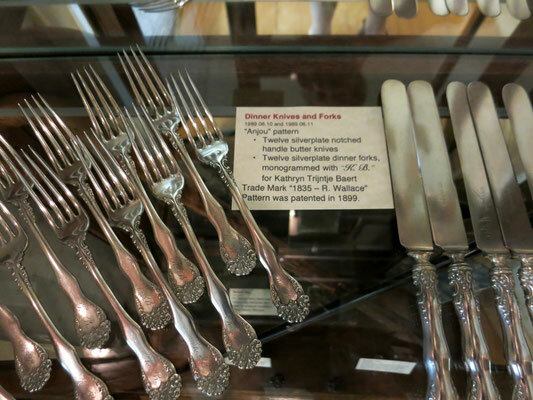 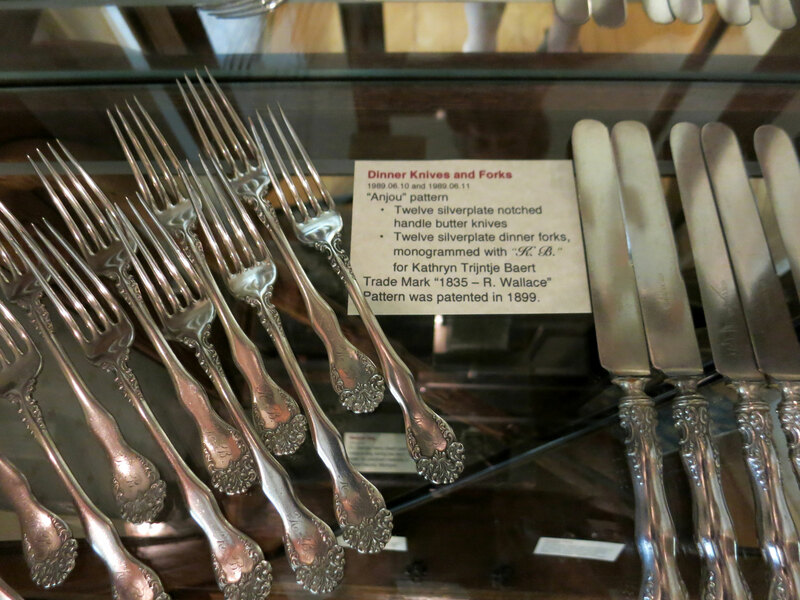 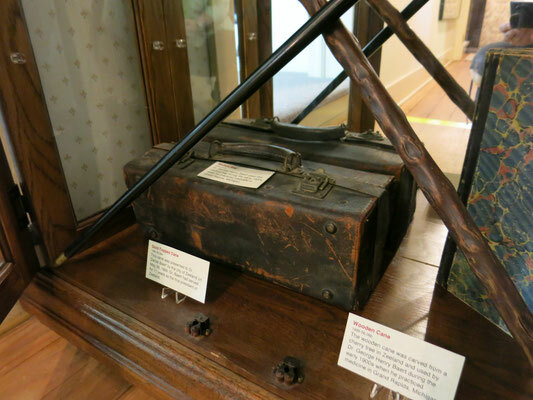 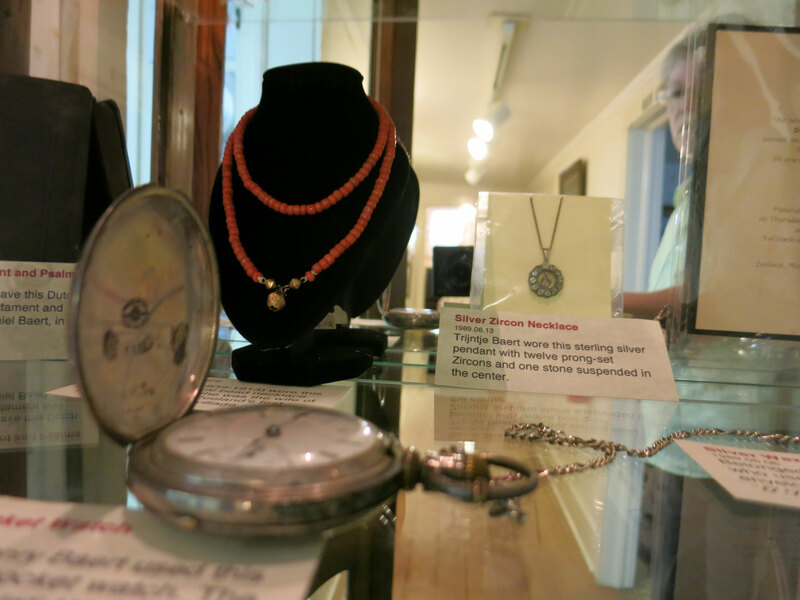 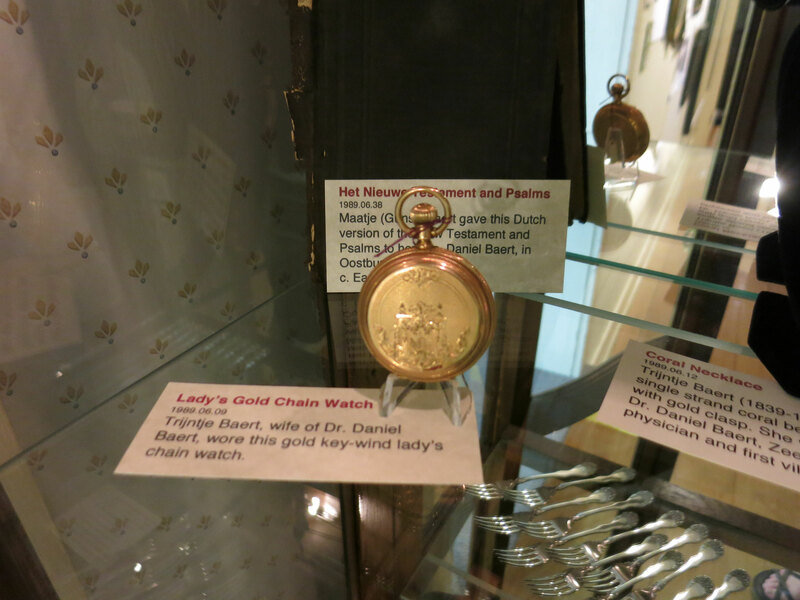 We are proud to display this collection in our newly remodeled Hall of Pioneers located on the second floor of the museum.